Let’s face it; life can feel overwhelming and painful sometimes. When you’re feeling stuck, frustrated, and tired of how your life and relationships are going, change can often feel impossible. You may be spinning your wheels thinking, “This just isn’t how life was supposed to be for me”, you may be feeling like you just can’t talk about what’s really going on for you with friends and family anymore, or you may even imagine that there’s something wrong with you for feeling this way. You might be emotionally exhausted, confused, and maybe even a little desperate for someone to help show you the way through but the act of choosing a therapist – one who will really get you and your issues – feels overwhelming, too. This is such a hard place to be in. But you know what the good news is? Here at Evergreen Counseling we really, truly believe that it is possible to move through these painful times in life and to actually use these times to get clearer and make solid, helpful moves towards the life you actually dream about for yourself. And you definitely don’t have to go through this alone. If this is you, explore how we can help. If you want to create lasting change in your life and move closer to the life you envision for yourself, beginning therapy with us at Evergreen Counseling can be the perfect place to start. Why? Because psychotherapy is a process of inner exploration leading to deeper understanding of how you relate to yourself, to others, and to the world in general. By working together with an Evergreen therapist, you two will be able heal old emotional wounds, uncover and understand any self-destructive patterns and behaviors that are playing out for you and replace them with new, more supportive behaviors and beliefs that will help you move closer to the life you envision for yourself. A life that, instead of looking good on the outside, actually feels good on the inside. Truly, beginning therapy can have a profound and transformative impact on nearly every aspect of your life.  Here at Evergreen, we know that choosing the “right” therapist can sometimes feel overwhelming and confusing and we want to help you make this decision and feel totally at ease about booking a session with us which is why we encourage you to check out our clinician bios, our FAQ’s, the kind words people have said about working with us, and our blog. And, we offer complimentary 15-minute consult calls to help you learn more about our therapy services and to match you up with a counselor who can best support your unique situation. If it turns out we’re not the best fit for you, no problem! We’ll happily provide you with a few referrals to folks who might be. We invite you to reach out to us today and to book your complimentary, 15-minute consult. We look forward to hearing from you and to supporting you in any way we can. Don’t see your issue on this list? Don’t worry – it’s just the tip of the iceberg. At Evergreen, our therapists treat a wide variety of issues so we encourage you to book a complimentary 15-minute consult call to talk through your own unique issue so we can set you up with the therapist who can best support you in your goals. Evergreen Counseling offers individual therapy for anxiety, trauma, depression, and more. We serve Berkeley, Oakland, and the surrounding areas such as Albany, El Cerrito, and Richmond. We’re also located near the campus of UC Berkeley and are available for students and faculty. If you're ready to book an appointment with one of our therapists at Evergreen, simply click here to book your initial consultation session and then we'll get you matched up and booked right away. If you'd like to get in contact with us to ask other questions, call or text us at 510-373-2723 or simply send us a message through this contact form. We look forward to hearing from you! New to therapy? We can help. 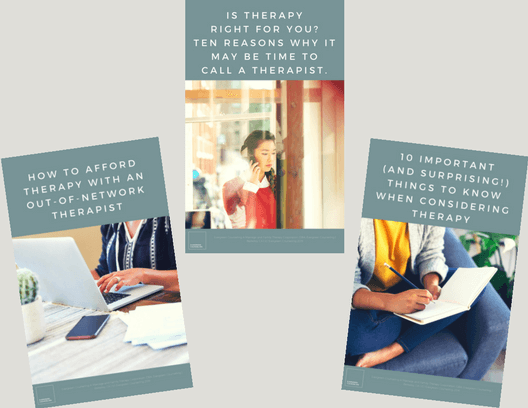 Download our free therapy starter kit and get three information-packed guides that cover everything you need to know when considering therapy. Plus, you’ll also be signed up for our regular monthly newsletter jam-packed with helpful original articles, resources, and announcements about our upcoming workshops and groups.